Typically, low-profile CPU coolers that are around 30 mm tall are rated for CPUs with a 35 W ~ 65 W TDPs. By contrast, the ID Cooling IS-30 can handle chips with a much higher thermal design power courtesy of its heat transfer design. 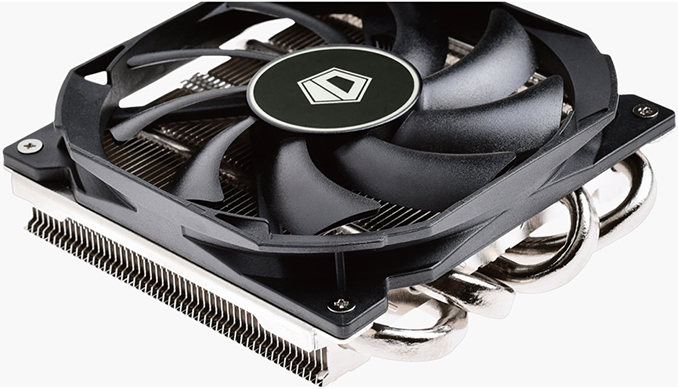 The cooling system features four copper heat pipes, multiple aluminum fins, as well as a 92-mm PWM fan that spins at 800 ~ 3600 RPM and creates airflow of up to 40 CFM. This is a good bit of airflow for such a small cooler, and the manufacturer does list its maximum load noise level at 35.8 dB(A), which as you might expect is going to be louder than other low-profile cooling systems. The IS-30 cooler from ID Cooling is compatible with all modern platforms from AMD and Intel, including the latest AM4 and LGA1155 sockets. Both AMD and Intel have CPU coolers for miniature systems in their arsenals. However these coolers are not designed to handle high-performance processors, which is logical as miniature PCs tend to use energy-efficient chips with TDPs from 35 to 65 Watts. 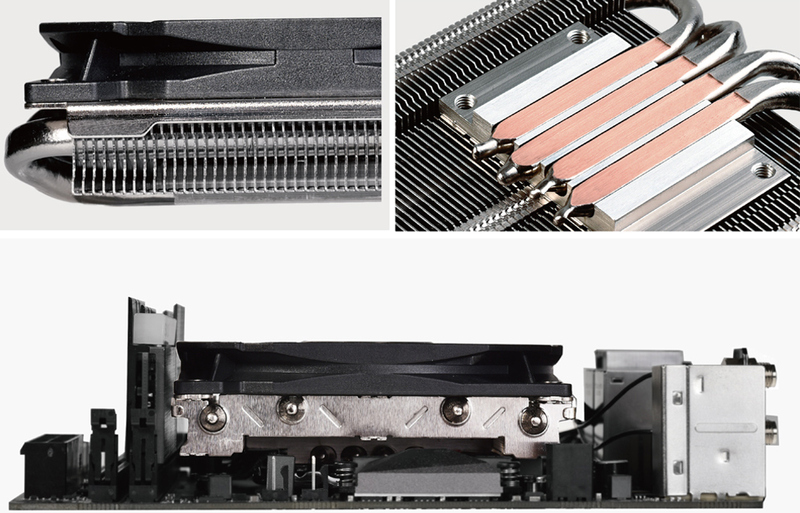 ID Cooling is among the first makers of coolers who offer a low-profile cooling system for 100-Watt CPUs, such as eight-core Intel’s Core i9-9900K or AMD’s Ryzen 7 2700X processors with an unlocked multiplier. ID Cooling quietly announced the IS-30 this week and did not touch upon its pricing. Though keeping in mind that we are talking about a small volume product, I'd expect it to carry a premium price tag, at least as far as low-profile CPU coolers are concerned. 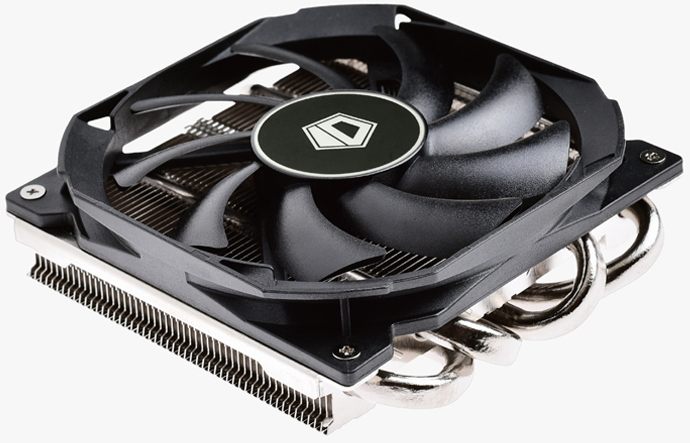 Would love to see how this performs vs the Noctua NH-L9i, the SilverStone AR06, and the Scythe SCBSK-2100 BIG Shuriken 2. I built a ITX PC with an 8700k in an Fractal Design Node 202, and the biggest challenge was finding a cooler that for the low profile design. In my case the NH-L9i wasn't sufficient, the AR06 was better, but still caused throttling until I delidded and replaced the CPU's TIM with liquid metal. Purely on the basis of CRM ratings, your experience with the Noctua (33.8 CFM) and AR06 (40.2 CFM) makes sense. If the IS-30 rating of 40 CFM is accurate and it's heat pipes are working well, seems like it ought to be close to the AR06. I put a DeepCool HTPC 200 CPU cooler on a 8600k in a Fractal Design Node 304 (ITX MB) last month. The DeepCool 200 reminds me of this cooler. 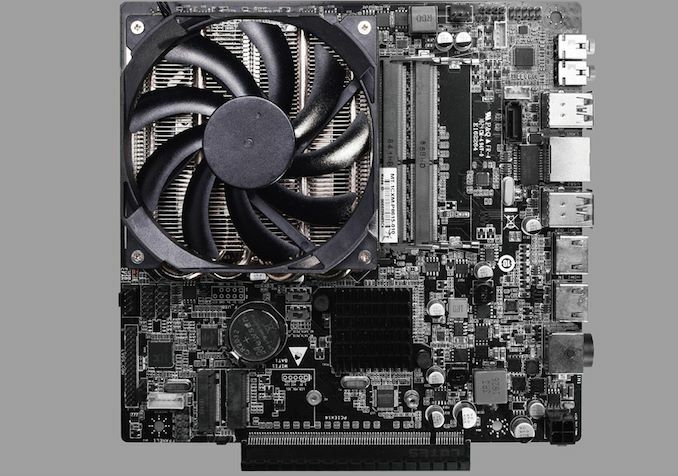 It's rated for 95W TDP and has a low profile. Has worked out so far but I haven't really pushed the system. More likely the same. This one will sound a bit louder. "Formally, this means the IS-30 is rated ot handle even eight-core unlocked processors, such as Intel’s Core i9-9900K"